Swing Tags | The Flippin Sweet Print Co.
Our standard swing tags come sized at 100mm x 50mm and can be printed on a choice of material options from Recycled Kraft, Matte or Gloss laminated card. 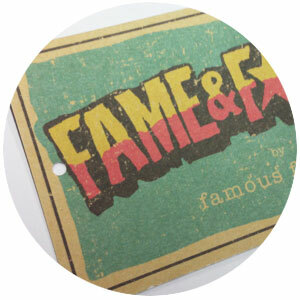 The swing tags can be printed full colour and double sided with no limitations on artwork. Once printed the swing tags are diecut to shape and a center hole drilled leaving smooth edges and a quality finish. Our recycled Kraft swing tags are manufactured using FSC certified 315gsm card sourced from fully sustainable forests. The Kraft swings tags have an uncoated manila surface finish. Gloss laminated swing tags manufactured using FSC certified 315gsm card sourced from fully sustainable forests. 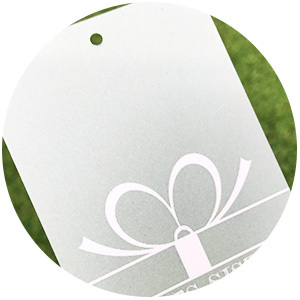 The Gloss swing tags have a bright white, or print finish. Matte laminated swing tags manufactured using FSC certified 315gsm card sourced from fully sustainable forests. The Matte swing tags have a satin print finish. We can attach your swing tags to you new printed garments for a standard fee. 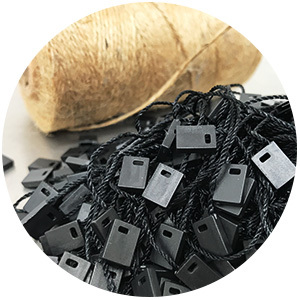 We typically attach the swing tags via a polyester string with a plastic loop fastener. The strings come in a choice of black, white or grey. Alternatively we’re open to bespoke stringing options such as packaging string which pairs especially well with our recycled kraft swing tags. The standard swing tag strings loop around a woven neck label however if you have printed labels we can use small safety pins or mini clothing pegs to attach the swing tag. WHAT IS THE TURNAROUND TIME ON SWING TAGS? 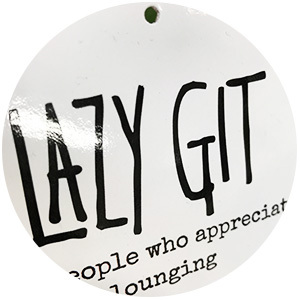 We have your swing tags produced within 1 – 2 working week. If you’re placing your first order for swing tags with us and would like them attached to an order of printed garments, we recommend ordering your swing tags slightly in advanced. Our minimum order for swing tags starts at 500 double sided swing tags. Check out our price guides for our latest offer price on 500 swings or 1000 swing tags. Get in touch if you require a larger quantity. I don't see what i need? We have tried to put together a swing tag with a range of options at a great price, but if the swing tag size, shape or quantity doesn’t meet your requirements feel free to get in touch for a custom quote. Absolutely! You can send over your swing tags with string (or we can use our stringing options). We can attach your swing tags charged at our standard attachment fee. If you’re looking for our swing tag prices you can download our price guides by entering your email above.